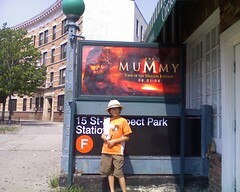 Thanks to everyone who came out July 12 for our “First Annual Family Media Scavenger Hunt” at Prospect Park! Participants were able to explore their neighborhood from a new angle, and learned a lot about the media we see every day. Afterwards, families and volunteers enjoyed lunch donated by Red Hook’s Fairway Market and Dulcinea Media while we processed what was discovered. A raffle with prizes from TekServe, Zipcar, Park Slope Parents, Brooklyn Cyclones and Park Slope’s SCORE! gave some lucky families more than just a heightened awareness of their neighborhood media. Click here for pictures! The LAMP is thrilled to have made it to the top ten list of finalists for Artisan Talent’s “Match That Gives Back” Creative Competition. The winner will be announced in the fall, and will receive $20,000 in creative services. Our proposal would help bring media literacy into the daily lives of people throughout the city. Cross your fingers, and we’ll keep you posted. The LAMP is now on Twitter! Find out when a new blog entry has been posted and stay up to date on all the news by following our feed with username thelampnyc. Don’t forget about our Facebook page and be sure to check out the new student videos on our YouTube channel. Summers are usually slow, right? Not for us! 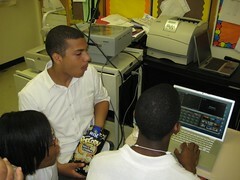 We’ve been busy finalizing class plans with the Center for the Urban Environment, the Prospect Park YMCA and P.S. 107 in Windsor Terrace, while also aggressively seeking new partnerships and fundraising opportunities that will help us grow. If that weren’t enough, we’re also beginning to plan our first benefit, plus a few other surprises. Keep a lookout on our website for breaking news! Occupation: Small business owner (Park Slope Parents), market research consultant and part-time college professor. Family: Married with two daughters aged 6 1/2 and 4 years old. slacker.com, veromi.net for finding people. stuff.” And so it started July 8th, 2002. What is your favorite thing about running PSP? The most gratifying part is knowing that people have gotten through some tough parenting experiences with the help of their online neighbors. Parenting can feel lonely sometimes, but having a sounding board can help lighten the load. How do you and your family explore new media?We DVR a lot of the things that are on at night and watch them together. I also go through magazines with the kids and ask them, “What are they really trying to sell?” This helps them understand the lure of advertising — that it attempts to fill an internal need (love, respect, satisfaction) that products really cannot fulfill. 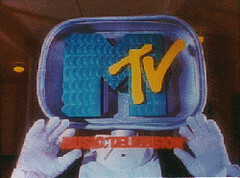 August 1, 1981: MTV premiered at 12:01am. crowd of more than 300,000 young people. The event came to symbolize the counter-culture movement of the 60′s. 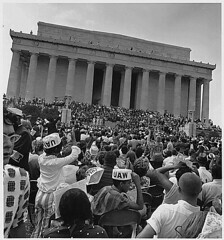 August 28, 1963: Over 250,000 people took part in the March on Washington, where Rev. Dr. Martin Luther King, Jr. gave his famous “I Have a Dream” speech.